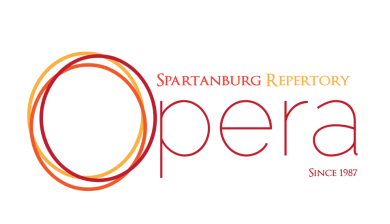 Spartanburg Repertory Opera is a non profit company run by volunteers and supported by loyal donors and sponsors. who understand the importance of local arts and do their part to keep them financially stable. Help Spartanburg Repertory Opera thrive and support the art form you love. Make a donation today! Gifts from individuals comprise an important source of the Spartanburg Repertory Opera's annual income. Recognize those important to you by making a gift in honor of or in memorial to someone you know. Your names will appear on the donor page of the production program and your fully tax-deductible contribution directly supports the Spartanburg Repertory Opera. Achieve professional visibility through a corporate partnership with the Spartanburg Repertory Opera. Many local businesses purchase advertisements in our full-color season program, while larger businesses interested in increased branding can choose from one of three levels of corporate sponsorship. You can ensure opera lives on by making a gift in your estate plan. This type of charitable gift arrangement allows you to make a gift now or after your lifetime while enjoying financial benefits for yourself and your loved ones. Transferring appreciated stocks to Spartanburg Repertory Opera is a great way to ensure the continued success of the art form in Spartanburg. When you donate publicly traded stocks, you may avoid capital gains taxes and take the full fair market value of the gift as a charitable deduction on your income taxes.